Times really flies and 1 week of holiday have passed in a blink of an eye. Now I’m back in Melaka again but I think I have left my heart, mind and soul in Kuching. The warm family there, the awesome food, and the buddies (most of them are back in KL/SG anyway =.=) there makes me don’t wanna come back to Melaka at all..
Posted on February 2, 2009 by Jian Akiraceo. This entry was posted in Rant. Bookmark the permalink. I think we all miss Miao !! Welcome back to Malacca, and most importantly, welcome back to your blog. ahahaha glad to hear that you have had great time in Kuching !! i donno how am i going to be by the time going back to kl for another semester again.. Reply: I didnt get to meet all my friends as well..
Gong Hei Fatt Choy. I’m not your hamsters, I don’t need your ang pao lol. so u are here for work or study? 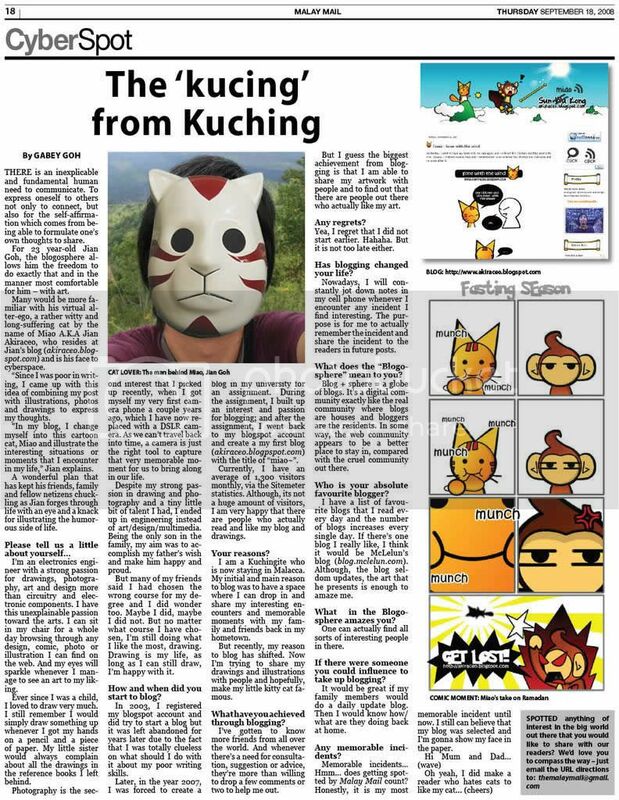 Reply: Hehe nope.. I’m a pure cat from kuching..
Uncle Miao ar , can you give me the tutorial about how to create web layout (like yours) by using Fireworks or not ? Reply: who miss me till i bleed? heh! finally i hav some comic to entertain myself again! 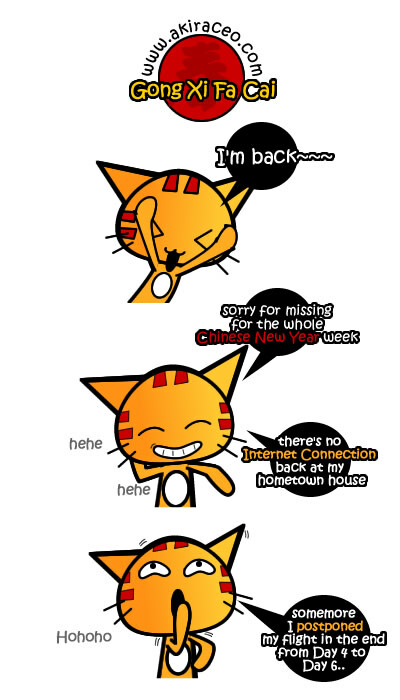 welcome back miao! Reply: Hohoho thank you ^^ for supporting !! actually who the hamster indicate?